American Gothic, Washington D. C.
Gordon Parks was born November 30, 1912 and passed away March 7, 2006. He is best known for his fashion photography as well as his photographs representing racial segregation and the Civil Rights leaders. 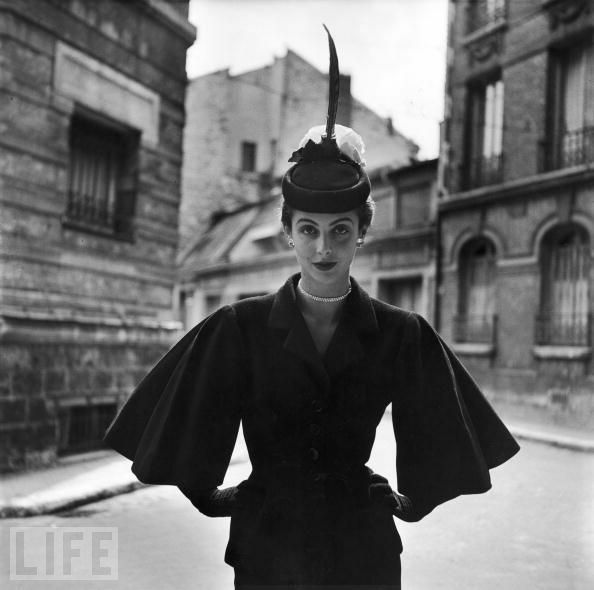 He was even hired by Vogue magazine to shoot ball gowns, which certainly sounds like a fun job. I am also interested in his American Gothic, Washington D.C. The picture almost seems to resemble feelings of oppression or slavery. 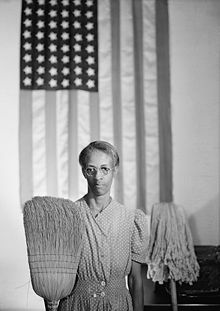 The idea of a dirty broom and mop next to the American flag probably even made some people angry, as such a contrast is normally not compared with "The American Way". His use of contrast and even tones in his fashion photos are very interesting and dramatic. He has achieved details in the lightest lights and darkest darks of the model's outfits.